Posted October 9, 2009 in Connor Willumsen. 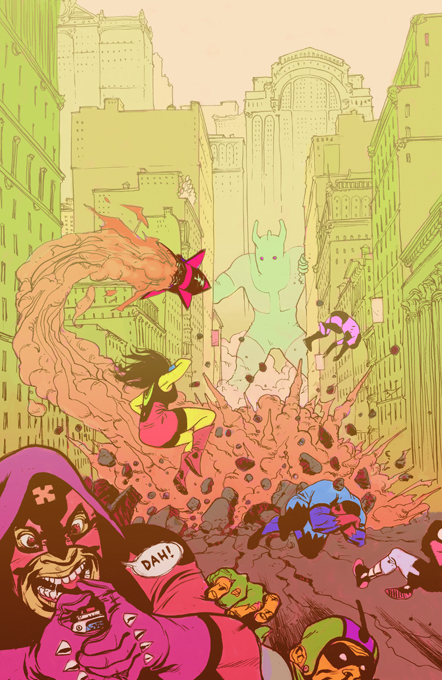 Kirby inspired frolics courtesy of Brooklyn based cartoonist Connor Willumsen. Check out Connor’s website for some beautifully rendered pdf. comics and be sure to visit his flickr page and blog for more colourful illustration work.